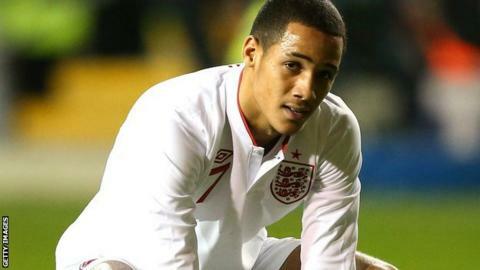 Blackpool winger Tom Ince is unlikely to join Liverpool before the transfer window closes, says Reds manager Brendan Rodgers. The former Liverpool schoolboy, 21, has been linked with a return to Anfield. But after completing an £8.5m move for Inter Milan's Philippe Coutinho, Rodgers admitted that could be it. "Ince was one where we could have made a deal but it looks like it's a bit complicated," he said. "I don't think there will be any more coming in now." Speaking after the 2-2 draw at Arsenal, Rodgers added: "It will be difficult [to sign Ince]. It is also about affordability as well. "If Tom stays at Blackpool it doesn't mean he will never come to Liverpool but in this window it looks like it will be a difficult one." Reading manager Brian McDermott, whose Royals have made an offer for Ince, was even more emphatic about the England Under-21s player's immediate future when questioned on Tuesday. "We might have one more possible deal tomorrow but it won't be Thomas Ince," he said. "I think he will be staying at Blackpool." Liverpool boss Rodgers emphasised how pleased he was to have secured the services of 20-year-old Brazil international Coutinho just hours before transfer deadline day. "We've had a great window by bringing in Coutinho and Daniel Sturridge. "We're delighted to have got Coutinho. I love players who can make a difference at the top end of the field and he can. I have known him since he was 15 coming through in Brazil. "He is a wonderful talent and a great technician with pace and power. He is flexible and in midfield he can play in that central zone or off the sides. "The owners have been brilliant and very supportive. Daniel Sturridge has been absolutely fantastic for us since coming in and with Coutinho arriving we have another young player who has also got great experience. "It is a real coup for us because Inter Milan did not want to sell him but he wanted to come here."